Design preferences are as varied as the students that walk through your halls. With so many ways you can take a project, it can be an overwhelming task to create spaces that appeal to your ideal residents. However, it’s essential to figure out what works and what doesn’t. Even the simplest mistake can turn away future tenants. Here are a few that you should definitely avoid. Furniture pieces come in different colors, textures, and materials. Because of the many options available, the pieces you choose need to follow a consistent design language. Imagine if you have a bedroom filled with furniture made of wood. A metal nightstand would just look out of place. That’s not to say that you can’t use different materials together. It’s just that they need to be used intentionally and balanced out with the overall design. Getting that balance right is the tricky part. As much as you want to provide everything for your residents, it’s easy to go overboard. Do you really think most students need two dressers? Probably not. What about navigating through a maze of couches and tables just to get across the lounge? Not a good experience. Here’s what you need to remember: furniture doesn’t exist just to fill up floor space. Each piece must have a purpose that works with what the room was made for. Otherwise, it’s just clutter. On the other hand, you don’t want to be devoid of the furniture that your tenants need. Space is a finite resource, especially for student housing, but that’s not an excuse to skimp on practicality. You may want some extra space in a small room, but if you don’t even have a bedside table to put your phone down, is the inconvenience worth it? Interior design has as much to do with making a room look good as it does with making sure the room works for the resident. Pushing furniture against the walls is one of the most common design mistakes we see. You’d think that this opens up the space but all it does is create a dead zone in the middle of a room. This is important to keep in mind for common areas like the lobby or lounge. Don’t be afraid to move furniture closer to the center to help students socialize and collaborate. Even just a few inches of space makes a huge difference. There’s a reason why different interior design styles have different names. Each one has a distinct look that doesn’t always work well with another. While mixing different styles is certainly possible, if you’re not careful, you can end up with a jumbled mess. Still want to go for a classic theme with a modern twist? As with many things about design, it’s all about finding the right balance. You’ll need a trained eye to combine these unique styles into a coherent aesthetic. Dickson Furniture Manufacturers has been a trusted name in the student housing industry for over 40 years. 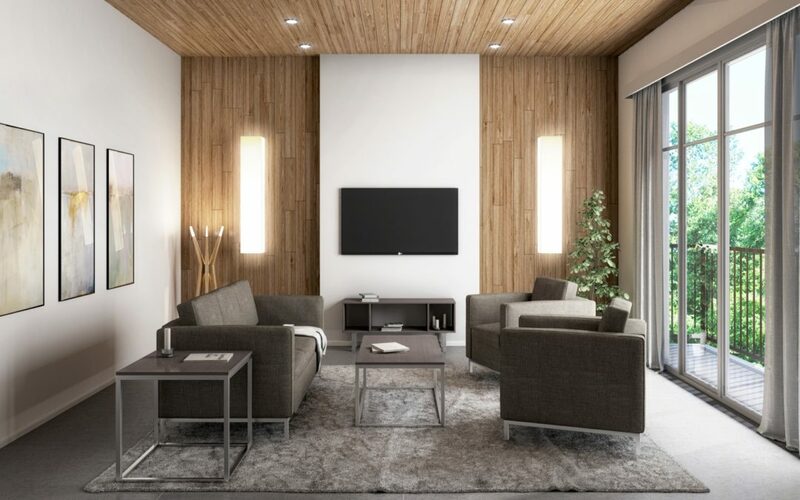 We’ve kept up with the trends while staying true to the fundamentals of good interior design. If you want to avoid these mistakes in your next project, get in touch with us today!